I delight in going to the Kruger National Park in South Africa for a relaxing vacation of game viewing as much as I enjoy similar wilderness experiences at the Grand Canyon, Yosemite, and Yellowstone. Africa or America, it’s the great outdoors! Elk and bison and grizzlies or elephants and rhinos and lions, I never tire of admiring the wildlife. In my last post I compared times to reach the Kruger from Raleigh, but I didn’t detail exactly how that works. Friends often ask: How do you get to the Kruger from Johannesburg? After all, it’s easy to book a flight to Johannesburg. At last count, 37 international air carriers served O.R. Tambo Airport at Jo’burg. In other words, once on the ground, what next? The answer depends upon what time my flight lands from abroad. If it’s by noon local time, then I will have separately booked an early- to mid-afternoon flight on South African Airways to beautiful little Skukuza Airport, the gateway to the Kruger. It’s only a 50 minute hop on an RJ to Skukuza (airport code SZK). If my plane from overseas lands at Johannesburg after noon, however, it is usually impossible to get a flight to Skukuza before the Kruger gates close (5:30, 6:00, or 6:30 PM, depending upon time of year). The gate closing times are inviolable except for emergencies, so if I can’t make it in time, then I spend a night in Johannesburg and take the first flight to Skukuza the following morning. When that happens, I usually book a room at the City Lodge Hotel at the airport. It’s an easy walk across the huge indoor airport parking structure to reach the hotel, and it is cheap at about $110 or less compared to the InterContinental, the other walkable airport hotel property. Directly behind the viewing area on the circle, walk away from the circle, following signs to InterContinental Hotel and City Lodge. Continue to end and look for elevator up to City Lodge, push “H” to go up to reception. City Lodge has modern and comfortable rooms and amenities, wonderful staff, and a good restaurant, but its convenience and reasonable rates are the most important elements to me. I can walk over in about 5 minutes from the airport using the completely protected connection and walk back to the domestic terminal the next morning. Booking JNB/SZK on South African Airways is easy; I do it online or use my regular business travel agent. Depending upon how far in advance I buy the ticket, it can be $200-280 round trip. That’s not cheap for a short flight, but convenience makes it worth the few extra bucks to go directly to the brilliant jewel of an airport at Skukuza. That’s because Skukuza Airport is inside the Kruger Park, unlike the larger Mpumalanga Kruger International Airport (airport code MQP) which, though it carries the Kruger name, is well outside the park, a good 45-60 minute drive to the nearest Park gates. At either airport, the next step is to pick up a rental car. At Skukuza, Avis/Budget is the sole choice, but my experience reserving a car well before I leave on the avis.com website is that prices are very reasonable and just as cheap as the more numerous number of rental car companies at Mpumalanga. For a recent trip I booked a great little Toyota Avanza SUV with a five-speed manual transmission. It was a joy to drive, plenty big and comfortable, offered grand visibility all around to watch the animals and scenery, delivered over 50 MPG, and was just $38/day all-in. The Avanza was very plain and simple, with manual heat and A/C controls, but it had electric windows and door locks. I fell in love with its simplicity despite its downright ugly design and wish the model was available to buy in the U.S.
After nine days in the Kruger I returned the car to Avis and boarded another South African Airways RJ back to Johannesburg to connect to my international flights home. Skukuza is a tiny airport with a relatively short runway, so SAA uses single-class Embraer 50-seaters (ERJs) on most flights. I was able to reserve seat 1A both ways, so could observe the one flight attendant do her work on both flights. Frankly, I was amazed at the superb service. The takeoff to touchdown time is 50-51 minutes, and both flight were packed, all fifty seats occupied. Yet the cheerful—even effervescent—FAs on both flights managed a full beverage and snack service to every passenger, even including complimentary beer and wine. All this on an all-coach ERJ in just 45 minutes, net of safety announcements and cleanup/cart stowage. 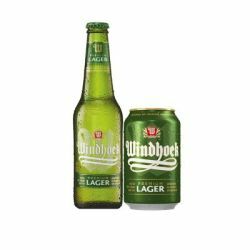 En route back to Jo’burg the flight attendant noticed that I had finished one Windhoek Lager (made in Namibia in the classic Bavarian lager style) and forced another one on me. She did the same for several others. I felt it would be rude to decline her kindness and gulped it down with enthusiasm. That level of efficient and thorough service occurred in both directions. When was the last time such happened on a 50-minute flight in the USA? It used to be the norm in my memory of flying in the 70s and 80s, and even into the 90s, but went the way of the dodo as airlines focused on charging a la carte for previously bundled services. So, too, went the cabin staff’s good cheer on many airlines. But I digress. That’s how I get to the Kruger once landed at Johannesburg, and back again. My returning (outbound) international flights leaving Johannesburg have always been in the afternoon or evening, which makes the SZK/JNB connection an easy one. Once I pick up my bag from the Skukuza-Jo’burg flight, I hoof it over (inside the connected terminals) from domestic to international and check in to my overseas flight. No overnight hotel stay required returning. After surviving the security/passport/immigration screen, I go to a JNB lounge to await boarding time. If I am flying in economy, then I use my Priority Pass card. Waiting for my departure from Johannesburg is hard because I by then already miss the Kruger. Usually I spend part of my wait time in the lounge scheming with my calendar for the next trip back.